There are different billing methods employed by a certified interior designer to charge clients for services rendered. During the initial interview with a prospective client, an interior designer must give the various options available. This will help a client decide on which mode of payments will be preferable to them. Depending on the services required, the client is made to know that the options open for choice is completely up to them, that is after he or she has listed it all out, explaining every option in great detail. So depending on the methods chosen, both parties, the client and the interior designer, will come to an agreement as to the best billing option and whichever agreement is reached, it must definitely be acceptable to both parties involved. One thing for sure is that a client will get a good service and the best of works from a certified interior designer who feels fairly compensated for the service to be rendered. With pre-fixed rates, the client and the certified interior designer will discuss extensively - as much as is possible - the scope of the interior design works and an agreeable fee is set. This fixed rate is generally supposed to cover all contingencies and on an agreement, a part of this fee is paid in advance before works commence. The usual amount paid initially may range between 10% and 40%, though this payment is different from a retainer or deposit (a retainer is a certain amount of money paid to a certified interior designer to reserve his or her time to work on a project), but whatever the case may be or whichever terminology is preferred, a deposit, retainer or whichever, it will invariably be treated as a form of deposit. Meanwhile, payments will be made as the work progresses and a drawn up schedule will be made so as to determine when progressive payments must be made. The only drawback of this mode of payment for services is that the scope of work may end up being broader than expected and an interior designer may end up expending more time and energy to complete the job. Interior designers are always aware of the fact that it is very hard to determine the scope of required works in advance of an interior design project. Because of the many variables involved, many of these projects require more work and take longer. This ends up displeasing the designer who may then not put in as much effort as is needed. Who wants to work for an unjustified pay? 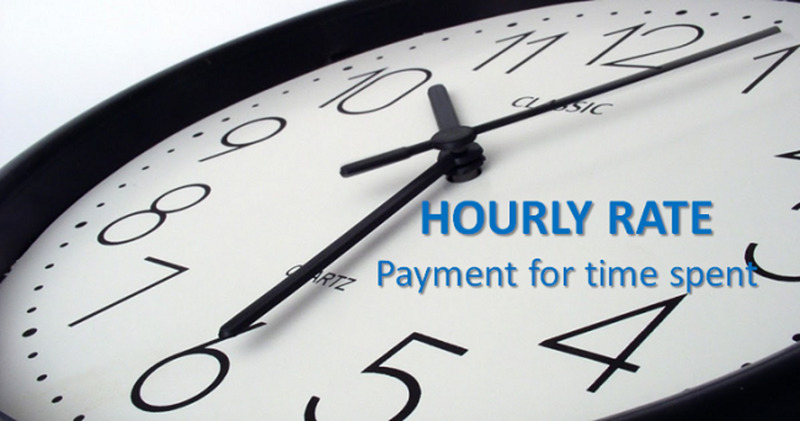 A popular mode of payments, the hourly rate payment method has been used over the years by many professionals such as architects, engineers, therapists, lawyers and accountants. It is well used by certified interior designers too. The way it works is that the interior designer is supposed to keep detailed records of daily work and the number of hours spent to execute such works. At the end of each month, the client is billed as per the number of hours expended. This mode of payment actually is payment for time spent, not necessarily a payment for talent and skills of a certified interior designer. Clients are a bit wary of this billing method simply because there may be instances where the designer works slower than others. What happens if the interior designer is slow or fast, highly talented or just plain competent? It poses several problems and clients sometimes feel they may be cheated but have no way to ascertain such fears. This is expected. 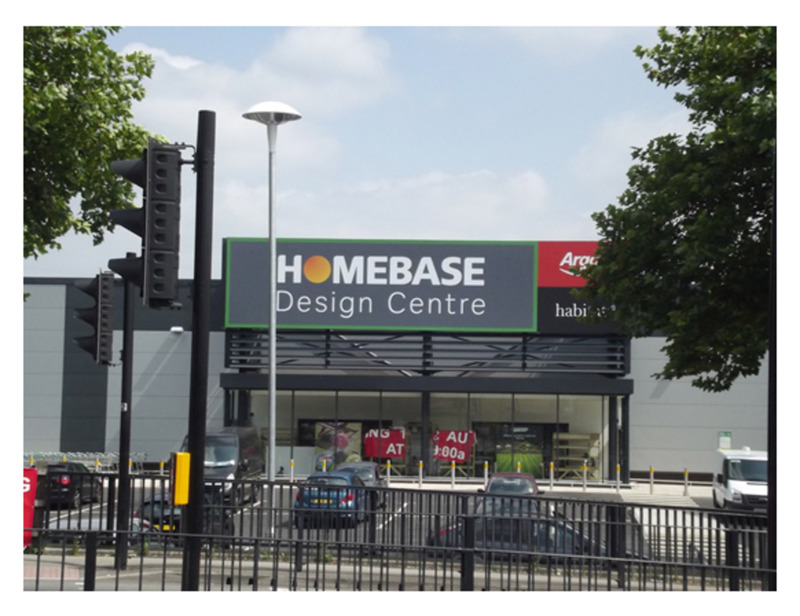 For example, if the certified interior designer goes shopping on client A's behalf, spending a number of hours in the process, and whilst doing that finds something for client B, but is unsuccessful in finding client A's products, who pays for the time? Who pays for the time, client A or B? Well, the answer is that client A still gets charged, but one may ask, "Is it fair?" Unfortunately client A still has to pay for time spent on his or her job. This leaves many clients feeling cheated. Also, how does a client trust that the number of hours a certified interior designer claims is correct and has not been inflated? 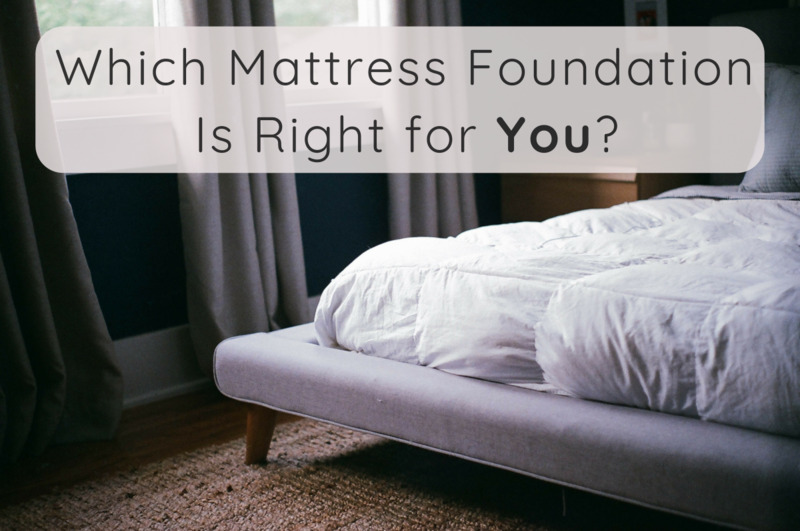 These are the usual question asked by prospective clients. Rightly so! This method is great for residential projects, though it may be used for commercial projects as well. Charges are the net or wholesale prices that the interior designer pays to the merchants, vendors etc.., and then a predetermined percentage markup is applied to the net cost. The markup is on the furniture, furnishings and labour incurred whilst working on a client’s project. The actual net cost is paid to the designer plus a commission which is inclusive of design and planning, selection, delivery and installations. The percentage charged depends on the nature of works to be executed, which can range from as low as 1% or less, if it’s a commercial contract (usually a large contract), and may go as high as 40% if it’s a small residential project. This means that the percentage charge will vary depending on the size of the project. Some may have issues with this mode of payment, feeling the designer will intentionally choose pricey items to ensure fat commissions, but because this may make the project end up being of a high standard, and stylish in look and finish, the final result will turn out great anyway, and this probably will please the client and at the same time promote the works of the interior designer. Many prospective clients seem quite comfortable with this mode of billing as every item that is chosen and purchased will only be marked up by the percentage to cover for overheads and profit. And a certified interior designer feels very comfortable with the percentage-over-cost billing method as every single item, large or small, is compensated for. And this may even be continuous if the client keeps on wanting additional stuff. The popularity of this system speaks for itself. Good to consider. A very simple way of charging that is commonly used for space planning tasks and is usually a small amount per square meter or footage. What it entails is the interior designer simply measures the client’s space to determine the square meter (or square footage) to be designed. Then multiply by a pre-determined and mutually agreed amount. 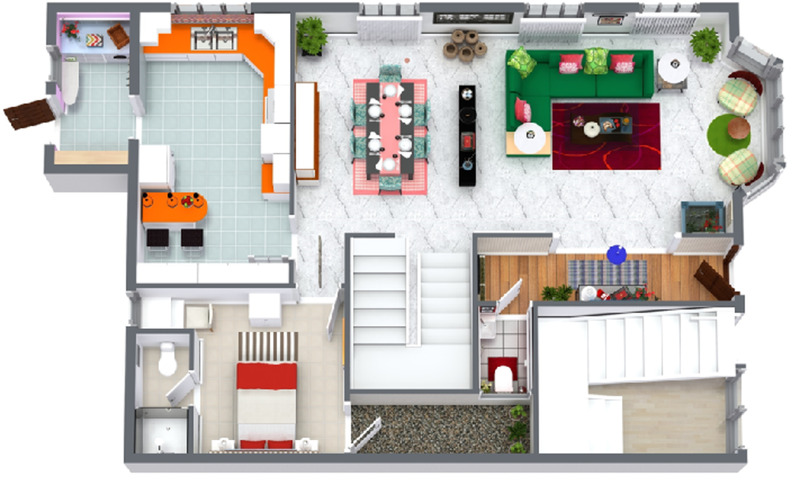 Space planning is a specialized aspect of interior design and involves the design of space allocation to a person or group of people to work in (or within), so that designated tasks and duties can be performed optimally, with added convenience, efficiency and most especially, comfort. However, this billing method can be used in combination with other forms of billing systems in the event that additional services are requested for by the client. This is due to the fact that space allocation is the beginning point of interior design and it eventually leads to the final design. Once it has been ascertained that additional interior design services (asides space planning) are needed, that is, the task of choosing the required elements that are needed to complete the project, then a method of billing must be introduced by the designer to provide for services related to supplies and installations. This billing method is popular for commercial interior design projects. A method commonly associated with residential interior design projects; this was the traditional mode of payments applied some decades ago. This was before interior design became designated as a profession before the mid 20th century. Later the interior design study started to include complex technological services (electrical, lighting, etc...) for complete interior design projects. 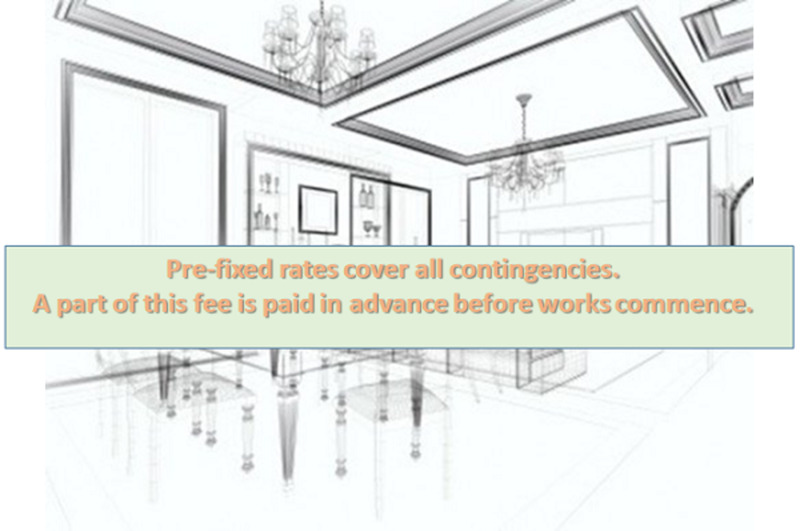 In this billing method, no fee is directly charged for interior design services. 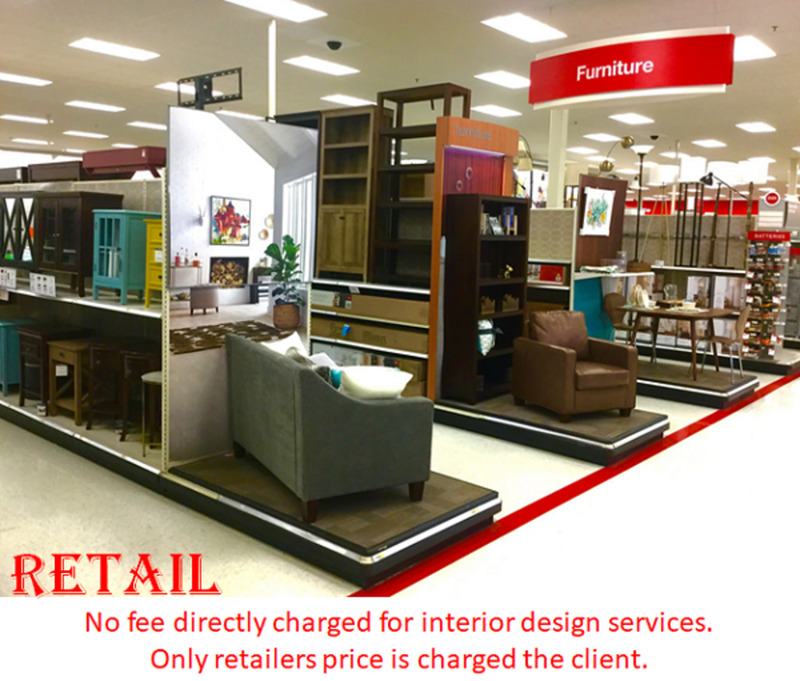 Rather, the stated retail price from the retailers is charged the client and the certified interior designer's payment comes in form of discounts given by the retailer (merchants). The prices quoted by their shops is all the client has to pay. The discount given the certified interior designer by the retailers is always between the designer and the merchant and it’s never the clients business so it is never disclosed outside the two parties. This works well only for furniture and furnishings provisions to a client. When other services are needed then a problem might arise. If for example the services of an electrician are required, say to fix a chandelier, the interior designer will have to source for one, hire and then supervise his works whilst installing. Now since there won’t be any discounts on his labour costs the certified interior designer will have to employ other billing methods to charge the client for the electrician’s time and effort. That’s why the retail billing method doesn’t adequately cover the normal scope of today's interior design projects. Many department stores that retail home furniture and furnishings also offer interior design services. These services are usually provided free as long as a stipulated minimum number of items are purchased. In some cases, a fee may be charged for services, but if the purchase exceeds a certain amount then the charged fee is refunded. This billing method is great for residential projects but impractical for commercial projects. Some dealers in office furniture, furnishings and equipment offer this service as well. This billing method is advised if working on a large project and a complex one. 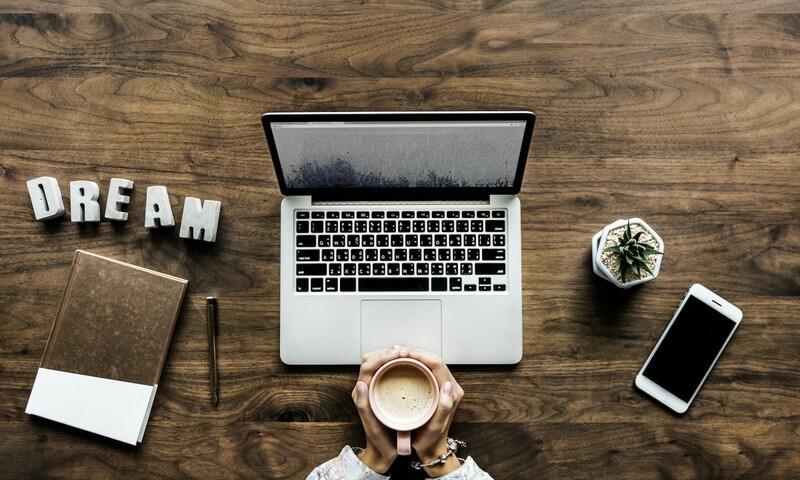 The initial works of space planning can be charged per square metre (or square footage), at a pre-fixed or an hourly rate by the certified interior designer. Percentage above cost billing can be used for the ordering of furniture, furnishings and deliveries. 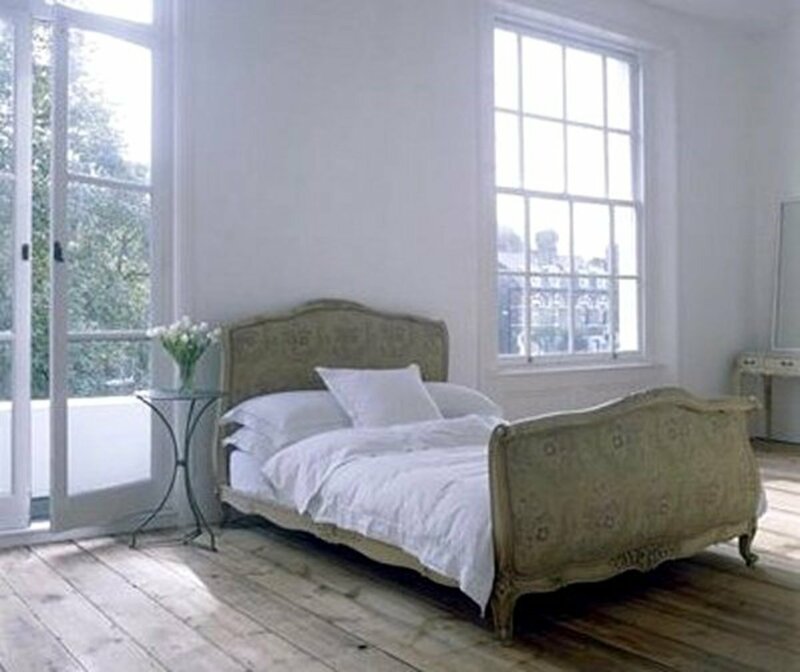 If an interior designer is to purchase rare antique items that are costly, the retail mode of payment will be used. The client pays the price tag cost (no discounts for the client!) and the certified interior designer makes their money from a commission given by the retailer. The combination method of billing is the best option for such projects incorporating the best methods appropriate for each aspect of the design project. With all this said and done, when charges have been ascertained and agreed upon, it is now time to have a formal written and signed agreement (contract drawn up) outlining the intent of all parties involved and this will serve as a guide for the conduct of the business between both parties - the client and the certified interior designer. It is always better and more acceptable for the certified interior designer to draw up the agreement and then the client may decide to give it a lawyer to go through and advice. If all seems well and both parties -the client and the certified interior designer - are pleased and satisfied, the contract can now be signed and sealed, and subsequently delivered. Which of these charging/billing methods will you prefer to adopt? I found this book of tremendous help, and you may find it beneficial too. It is written by a veteran designer who is an expert on estimating, pricing, and budgeting systems in the design industry. Its step-by-step instructions that include case studies and interviews with other professionals have helped designers and professional interior decorators establish prices and budgets that will not only make their clients pleased but also ensure their own businesses are run profitably. My designer for a small project (<$20k) charged a $2k design fee. After project completion, I asked to see the receipts from the retailers she purchased from. She said she would not provide them and admitted she charged me above cost. She did not disclose verbally or in the written contract that she would also receive revenue from material purchases. I feel like I was double charged. Does this seem fair? 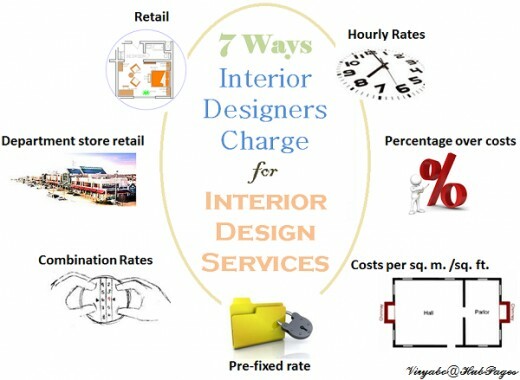 When charging hourly for interior design, do you charge only for design and sourcing hours or also for drive time to and from stores and client's home? Do I show my interior designs first before I ask to sign the contract or is it the other way around? My designers will not show me what kitchen cabinets actually cost. At the end of the project, I am paying him 15% over costs. Is this fair? How do I write up an interior design contract for my client? It all depends on the interior design services you wish to provide your client. There, you will find templates that can help you know what to do or how to approach it. There should be one or two that you'll find helpful. I recommend to only use the free downloads for now and substitute for your own business or personal name. My interior designer wants me to pay up front for fabrics ordered before upholstery is complete. $15,000 also how do I handle fabric I did not want? Before you pay for upholstery fabrics, you must be certain about your choice and confirm it officially. You will need to pay for your fabric choice 100% upfront. If thereafter you dislike your choice, it’s your responsibility. Is it reasonable for my decorator to bill 20% on furniture delivery fees? Personally, I won’t put a markup on delivery charges. I think it is unfair. Markup on the furniture items should suffice. Also, I continued to ask to see my fabrics ordered before payment, each time I asked, I was charged $150! Finally, I have bolts of fabrics, but now there is a bolt of fabric not ordered by me! How to Handel this? She wants complete fabric payment, holding my furniture hostage in the middle of upholstery completion. My intention is to pay half up front. Is this correct? $150 each time you request to view fabric samples? Hmm. Once you have contracted the job to her, her charges should have covered for showing you samples when and if you wish. What I would do is first, return the bolt of fabric you didn’t request for. Secondly, the upfront payment should be around a minimum of 70%. An additional deposit may be requested for before final balances are paid. But this varies from one designer to another. 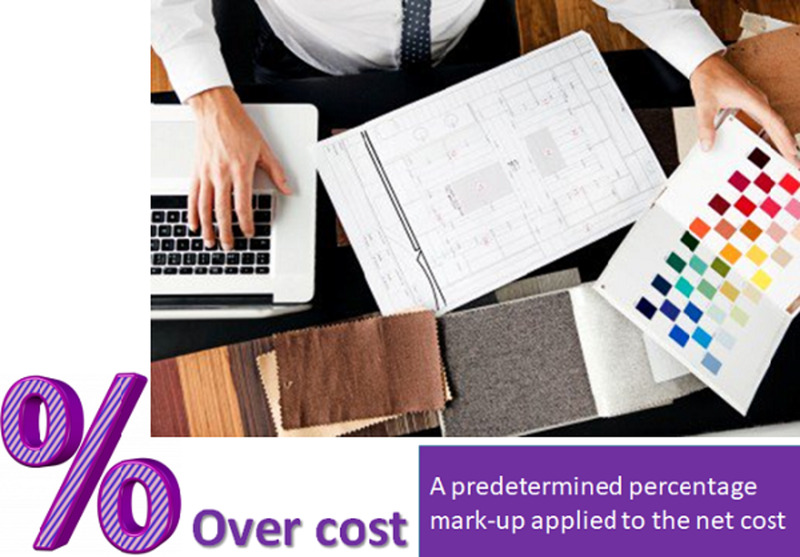 KJR23, some clients do want a breakdown of costs incurred for purchasing items for their project. What I do is list the retail prices of purchases (some clients go behind our backs to check) as they are on the shop floor. In my bill, I indicate my % over costs of purchases separately, say x%, whether I get them retail or wholesale. My fees for creating the design concept, implementing, and supervising, and my time generally, is also indicated separately. I have found that this way, it’s clear to the client what he/she has to pay for, right from the start. If they decide to go out to purchase things for themselves, all well and good, but most clients don’t have the time, the ‘eye’, nor patience to do that. I leave some room for negotiations because most will ask for some discount, no matter how small. As a designer, I typically use the % over costs. As this encompasses everything, it is great until the client wants a breakdown of how much each item costs. Since it includes my time, design services and product, freight, warehousing and installation, that final price per item seems ridiculously high to them and they compare in their heads what they can purchase it for themselves (now that they have seen it in my presentation). It's a real challenge for me. I don't disclose the % since it varies on whether an item was purchased at w/s or retail. Suggestions? If your interior designer is ordering for your fabric from, say, out of your locality, It's a good idea to have it listed separately so you are aware of its charge. It is not considered a "cost of doing business". My designer wants to charge UPS freight charge for fabric. Isn't this considered "cost of doing business"? Thank you. I am glad that you found this article helpful and useful for your interior design practice. Words can not express how very grateful I am to have come across the information you have shared on pricing. This will be very helpful for me to know how to give proper quotes needed when chosen to execute my services as a Certified Interior Designer. I have been Blessed to have several services requested from me but was not comfortable on knowing if I expressed the correct or fair prices. Without a doubt I was not going to stop searching until I was able to get concrete professional satisfied information about this matter in order for me to continue to become very well financially established in my business. So with all of that being said I am truly thankful for your time on sharing amazing information for others like myself to enhance in our businesses. Enjoy your day, be Blessed, as well as a Blessing. Yes it is standard, and 10% is quite fair. Your article is very informative. Is it standard practice for an interior designer to take a percentage of the fee an interior painter charges- say %10 of his estimate ? Thank you so much . Your response was fair enough! Personally, the hourly rate doesn't quite work for me and I don't use it. Rather, depending on the type of project, I use the rate/square metre (commercial designs), or a pre-fixed rate, which I negotiate with the client. 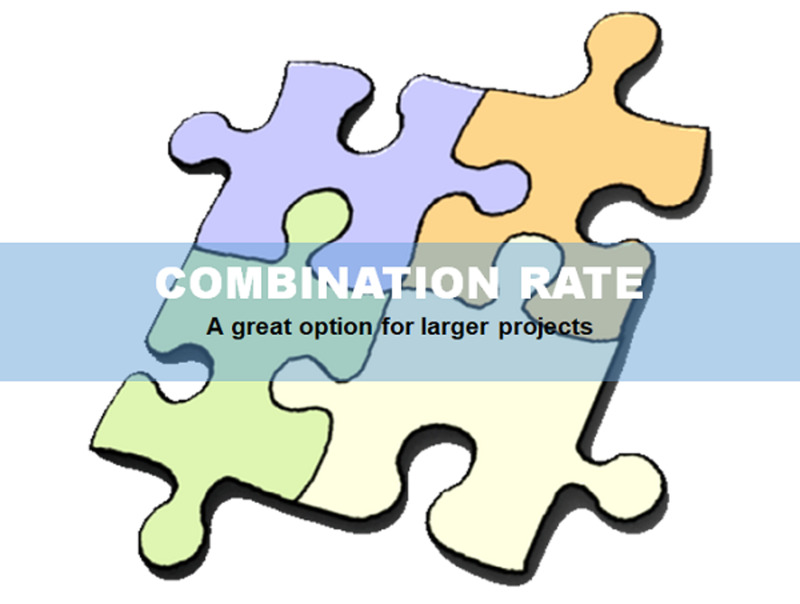 And if it is a large or complex project, I charge a combination rate. With experience, I have learned to know when to work with any of the 3 billing systems. I don't stick to only one method. Now I know why some don't get back to me. I will keep learning and keep growing. It is always difficult to convince clients about the time that is necessary a job to be done. That is why it is difficult to chagre them hourly even if it is my favorite method of charging. What should I do? Thank you. It is true that interior designers, in most cases, wont get paid before doing a presentation. However, what I do is give some preliminary sketches to whet a client's appetite. For instance, after the initial question/answer with a prospective client and the usual measurement-taking, I proceed to do some initial sketches using a simple software program. Depending on the kind of project, I can always whip something out in a couple of hours. No detailed sketches, no dimensions, no 3D's, just vague representations. I don't usually give them copies of sketches and stuff at this initial stage but converse more about my concept while we both view my first sketched ideas, and I 'feel their pulse'. I have found that this makes the client know you are a professional and they are then willing to go a step further. With time and experience, I have learned when a client is just out to pick my brain or when he/she is serious. Its common here to see clients ask you for a quote or presentation before deciding to give you the job. In many cases after your presentation you may not get the job but you will notice of n follow up that your ideas are being implemented. How do you make up for time and resources spent in putting a bid together? How much do you hold back during a presentation and not look unserious? Kindly share your experience on this ma'am. That is what I thought but I wanted to make sure before I make counter statements to my client. FYI, your answer is correct. I received 3 California attorneys response to the same questions and they all came back as stating is is perfectly legal to charge fees upfront. Gotta love Rocket Lawyer lol! I'm not quite sure what your upfront fees indicates. However, if it's what I think, collecting a deposit which I refer to as a retainer fee is not illegal. Since this deposit will be deducted from your overall fees, I don't see any reason why a client won't want to pay you a desposit, no matter how small, if only just to show his/her commitment. What is certain is that it is not illegal. I'm not very conversant with Californian laws but I doubt if it's that much different from the laws of other regions in the US as it pertains to interior design services. What I know differs is the rates applied by each region, some quite high-end, some not so. I am an interior designer. I had a potential client tell me that collection up front for fee's is illegal? I charge a flat rate for services/consultation and have done so for over 2 years now. This was obviously alarming and I don't want to be "outside" the law. Your help is appreciated. I am in Southern California. Thank you for your comments, Nina. Yes, it is a good aproach to charge for interior design services and procurement separately. This is a combination method of billing. Charging an hourly rate for your design concept, and then charging separately to procure items specified in your design concept is the method I mostly use. That way, it's fairer to the client. Charging an hourly rate for product ordering usually doesn't go down well with most clients. They hate that they can't prove you spent Xhrs to source for items. Communicating the % markup to clients? - Yes, I always think it's best to come clean with a client. They will probably negotiate on this, which is fine. You can determine where to draw the line (in your mind). I usually state it in my bill, but give a little allowance for negotiations. I mostly have payments made to my company account and haven't had cause to use a billing platform. However, if I have, say an online client, I will probably opt for PayPal. As per charging them, I always ask for a retainer, a lump sum fee that will be deducted from the total charges on completion of the design phase. But there is no hard and fast rule for this. It depends on what works best for you. Splitting charges for design services into monthly payments is also good. But getting a client to pay some before he/she sees some aspect of work being done (no matter how little) may be difficult. No, I don't bill clients before I present drawings to them. I first do a 'rough' proposal and when the client prompts me by showing interest in my concept, I ask for a deposit which will include the time I've spent to prepare my 'rough' proposal. It's true that the work is best completed in phases but clients usually want to have an idea of what they'll be paying for. Going by your example, if for instance, the project is divided into 3 phases, it will be specified in my bill that the tasks will be divided into three phases (describing each phase in detail). I will also explain that payments must be made at the end of each phase, before the commencement of the next one. Remember I received a retainer (lump deposit) before the commencement of more detailed works. I hope I have answered your questions :) If you have further questions or more in-depth explanations, please feel free to ask me. Great and thorough post. Thank you so much! I plan to charge clients an hourly rate for my design services - which include creating floor plans, space plans / furniture layouts as well as designing custom cabinetry, furniture and sourcing everything. As you know, this is all time consuming and the hourly rate would cover the designs that I am passing along to them. Along with this, I will charge a commission of 35% - 40% on all items client buys through my firm. I find this method is very fair. The commission covers the time spent ordering the product on behalf of the client as well as the installation of these products in the client's home once the project is nearing completion. The commission eradicates the option of charging another hourly rate for installation services which could escalate very quickly. Would you agree this is a good method to approach? What platform do you use to bill clients? PayPal, etc. Do you recommend charging them monthly only? There are various platforms for billing, which one do you consider ideal? Finally, do you bill clients every month even before you present the designs to them? By this I mean, you've created a design and spent X amount of hours working on them. Do you go ahead and bill them once that "phase" of the project is completed and present once payment is received OR do you bill for every single phase and then present when you've got ALL the design phases ready? I'm thinking the actual presentations to clients are done in phases, no? Such as Phase one "floorpans, layouts, custom cabinetry and/or furniture drawings. Phase two, finishes such as paint, tile, wooden floors, etc. Phase three " furniture + accessories" presentation. I feel if the presentations are divided the clients feel less overwhelmed by all the information we are giving them. Phase 1 and 2 could be combined for a smaller project. Thank you so much in advance. Sandra, your interior designer need not make you purchase from a particular vendor, especially as you've found you can get your furnishing items for less. Even with the 20% discount, you may find that you'll still be paying more. In a case as this, I make sure my client can use any vendor, even asides the ones I suggest. You can insist on using the less expensive vendors and your designer should charge you for time/hour expended only. My designer was vague about the billing practices. 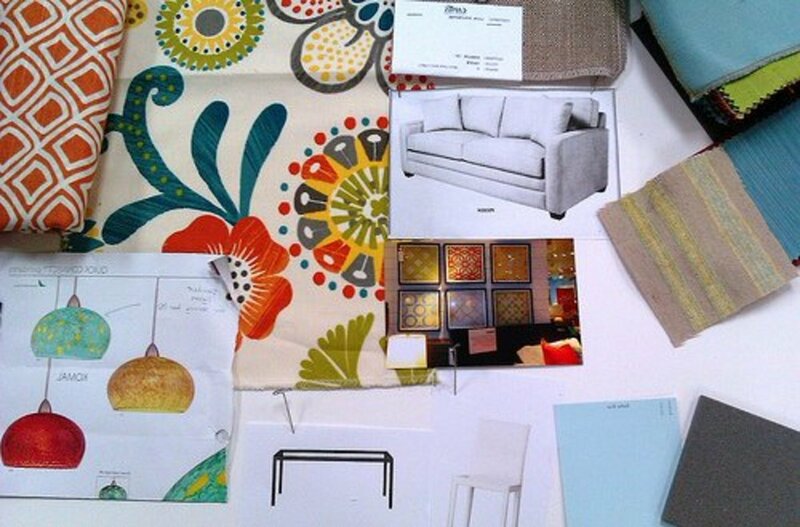 Proposals were drawn up including custom drapes, rugs and furniture. I did some comparative shopping and I am paying 30-65% more than the same products would cost at other retailers. The designer holds firm that I am being discounted 20% of the cost of the items. How does this seem to you? Yes, I do get a deposit, after my client and I have concluded on charges for design services. I usually refer to it as a retainer. However, it varies from 15% to 25%, depending on a few factors and whether it's a residential or commercial project. For the larger projects, I charge 15% upfront. Before you carry out any design work do you get a fee? As the client, if your work involves designing, for instance, a room or an interior of a building, your designer will charge for design services that will involve creating a concept for you. Here, you will be charged for design services. Now, if after it all, you need the designer to procure furniture and finishes for your project, on your behalf, here is where the combination rates can come in. "Percentage above cost billing can be used for the ordering of furniture, furnishings and deliveries" as I mentioned above. It can be a tricky situation in that a designer may claim it took them X hours to find what is required to buy. And you may never know if, while sourcing for your goods, they are sourcing for goods for 3 or 4 other clients at the same time. Then charge you all the same amount covering the X hours or even days. It's best to separate the two at times because you can't really prove they spent X hours to look for your own requirements. The designer may spend just a couple of hours to source but claim they spent many hours and sometimes days to find what's right for you. I have found that many of my clients prefer to separate the two. But then, there is no hard and fast rule about it all as long as you can both arrive at an agreeable conclusion, with a bit of a haggle at times. Thanks; somewhat. But I'm the client, not the one doing the charging. I am asking about the designer charging ME both an hourly rate and commission -- not commission paid by the store or dealer. Does that make a difference? I think if I am paying for designer's time, I should not have to pay commission for the same shopping trip. Conflict of interest. If the commissions are based on goods purchased on behalf of your client, then yes, you can charge both for hourly rates of the interior design services + commission on goods. What do you think of designers charging an hourly rate plus commission? Extremely informative. Thank you so much! You are welcome, Suresh. Glad you found it informative. Thank you for visiting Thameem, I'm glad you find this informative. Best of luck in your interior design freelancing career. Design charges per sq. 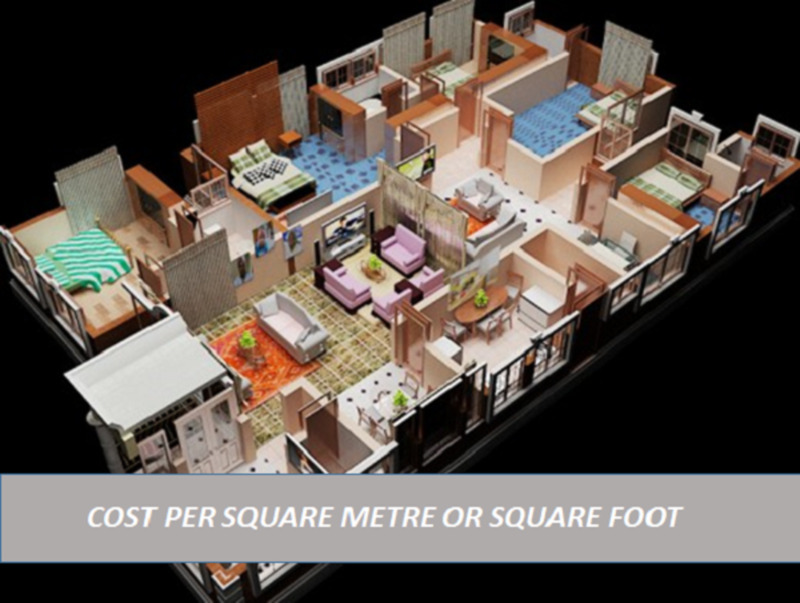 metre (or foot) vary from one region to another with charges ranging from as low as $5/sq.m to as high as $9.50 for residential projects. (In some regions of the world, they go as low as $2/sq.m)! Many clients are generally comfortable with this kind of pricing, more that hourly rates, for reasons that's quite understandable. A great place to find more information on this is from the ASID chapter in the part of the country you work/live in. Great article. I have been in business for 10 years but changing my pricing methods. I plan to use the sq. ft. method however, I'm not sure how to determine the appropriate sq. ft. dollar amount for the market I'm in. Any suggestions on where I might find useful information to help with my question? Glad you find it helpful Po Ku. Hi, very helpful article. I am a custom home builder and use a standard project management form. I've tried other ways of charging for services but always come back to the project management method. I think most actually charge a combination of what you mentioned (at least in my area). Department store costs, plus a contract "bonus" at the beginning and then some other fee, possibly hourly. Thank you so much for the nice comments Kayla. Blessings. I cant get over how perfect that picture is at the top of the page. The ground floor one. I just have not seen anything like it and its so fascinating. Your page is really amazing and You did a good job. So true Fotoviva. Thanks for visiting. I think these days many home owners think they are interior designers! Truth is, they are to a degree but you can never replace the inspiration a professional interior designer can bring to your home. Thanks for visiting and reading, Man from Modesto. That's a good idea you just suggested which i will carry out very soon. I am sure, as you said, that interior designers starting out will appreciate a guide on how to get into the business. I know a young woman who just got certified as an interior designer. Could you write a hub on how to get started in the interior design business? I'm sure others starting out would like to know how to build clientele as well. Hello Jun, thanks for stopping by. It depends. What is the curriculum of your six month interior design course? If it covers major topics in interior design such as space planning, lighting, colours, etc.., then once you graduate and start working, you can work your way up to the top of the ladder. Yes it will take a number of years, but it is achievable. On the other hand, you can (after completion of this course you are on) pick an area of specialisation in interior design, and do additional courses on that, on-line, e.g. furniture design, custom designs, stage design, lighting design, space planning and design, custom cabinetry (bathrooms, kitchens), etc..
You will have the time to still work and learn more as you go along. Experience they say, is sometimes the best teacher. Hii, interior designing is my hobby. I love to spend my most of the times in designing things. So i took admission in interior designing, bt my course duration is only 6 months. With this short duration will i be able to become a professional interior designer in my future life. Hi ericosiu, thanks for visiting and for finding the time to leave a nice comment. This is definitely some great stuff here for starting interior designers. Great work! Hello Jenny. Thanks for the visit. The great thing about this profession is that you need not have any starting off costs. All you need are your creative ideas, your computer (if you use software programs for interior design), or a simple sketch pad and pencil. That's how i started off, drafting on a drawing board. Your first client should pay you some form of deposit. Hi, lots of helpful information, but how do you bill your very first client when you have no revenue to start? Hi sreeiit, you are welcome. Thanks for stopping by and leaving a nice comment. @shanel, Im glad you found it informative. Sometimes it seems the billing methods are not clear cut, and a lot of designers have lost some revenue because they are unsure of how to bill appropriately. Thanks for your visit and taking the time to leave a comment. Thank you for all of the practical information regarding billing practices for an interior decorator. Nice hub.